Long Lines and Other Christmas Hardships: Gifts from Above? You are at:Home»Featured»Long Lines and Other Christmas Hardships: Gifts from Above? On a recent Saturday I went to the grocery store and took a number at the deli. They were on number 49. My number was 62. It was quite a crowd. Some people came in pairs, browsing in front of the glass displays as they waited for their turn, making it hard for me to scan any deli items. Each person seemed to have complicated orders. I was in a hurry. I began to stress. Remembering I hadn’t said some of my morning prayers, and seeing that I would be waiting awhile, I stepped back a little away from the crowd and began to pray silently as I held my number 62. While I watched the red-number-light slowly creep up to 50, then 51, I found that I felt a deep sense of peace as I ‘caught up’ on some prayers. Not only that, but as I prayed I soon found myself hoping that the orders would continue to be slow so that I could continue to pray. The shepherds of old were keeping watch over their flock at night when they were sent by angels to see the newly born Savior lying in a manger. When the shepherds returned, they glorified and praised God for all they had heard and seen. 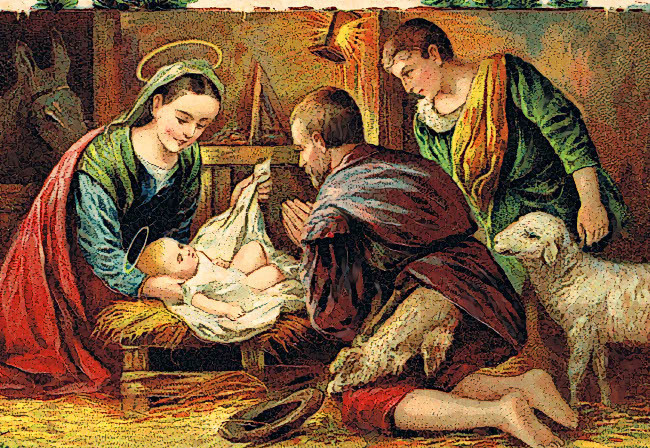 This Christmas season, when long lines, traffic, parties, company, and long to-do lists seem to overwhelm us, let that remind us to go in spirit, like the humble shepherds of old, to the holy stable to love, honor, and adore the Christ child born on that peaceful first Christmas night.